Scooper - Technology News: Is this the death of the phone number? Is this the death of the phone number? It has been a good year so far for Facebook. 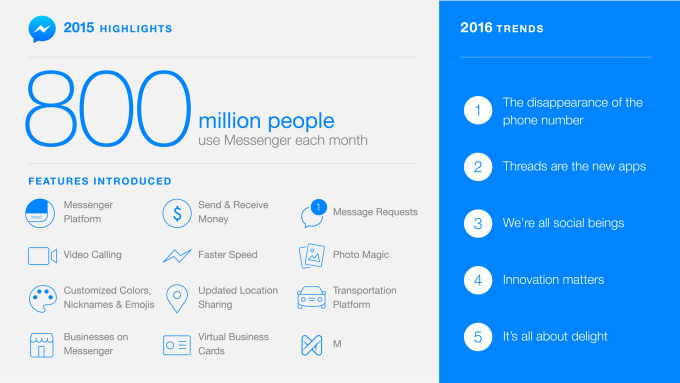 In January, Facebook Messenger reported a record 800 million users , up from 700 million in June 2015. Yesterday, WhatsApp (acquired by Facebook in 2014) announced it had reached the milestone of one billion users . Facebook has ambitious plans for 2016, but the pool of messaging services remains diverse, and while more traditional telecom services have been feeling the heat, they remain popular in some markets. 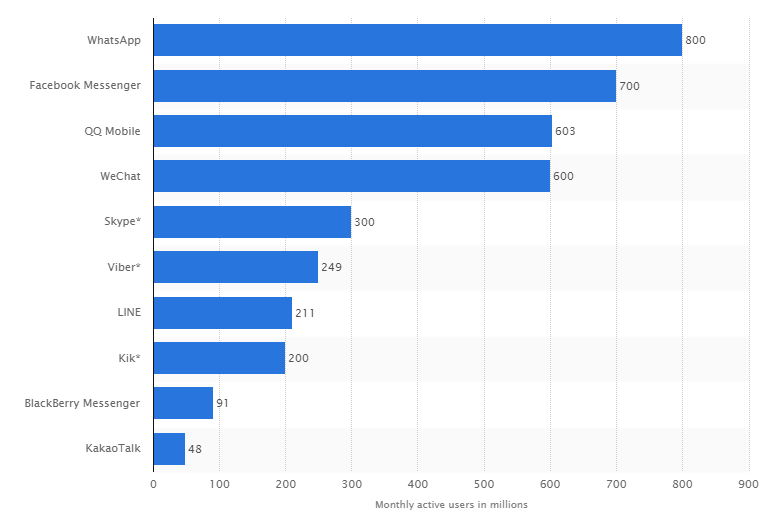 WhatsApp may be making headlines for its total number of users, but Facebook Messenger still boasts a higher user base per month, at least for now. Data collected in Q4 of 2015 showed that 4 out of 10 users were logging onto Facebook Messenger at least once a month, compared to 1 in 3 on WhatsApp. Skype remained popular in eastern Europe, but is losing ground to WhatsApp. In another study conducted by Statista, which shows data from early January 2016, the sheer size of Chinese users online has kept not one but two Chinese language messaging services in the top five . 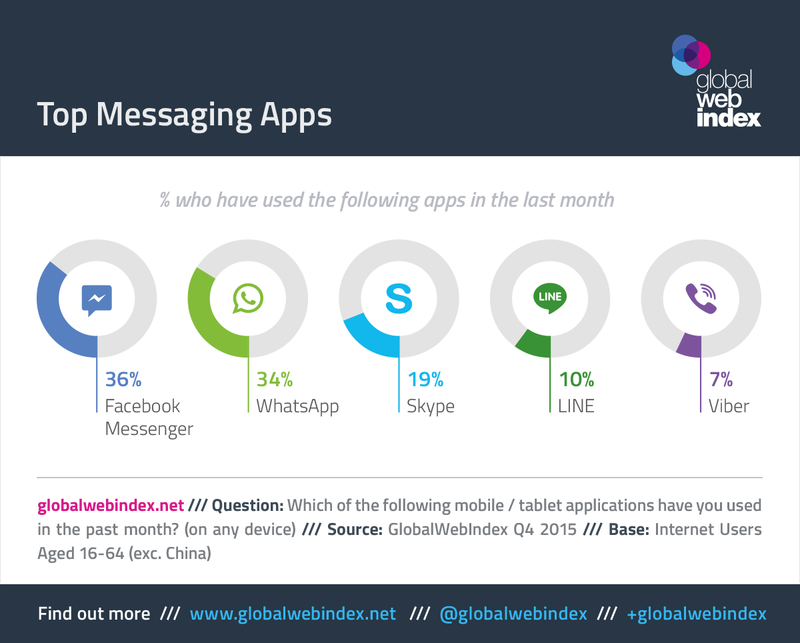 QQ Mobile and WeChat ranked in third and fourth place in the list of the most used messaging services in the world. 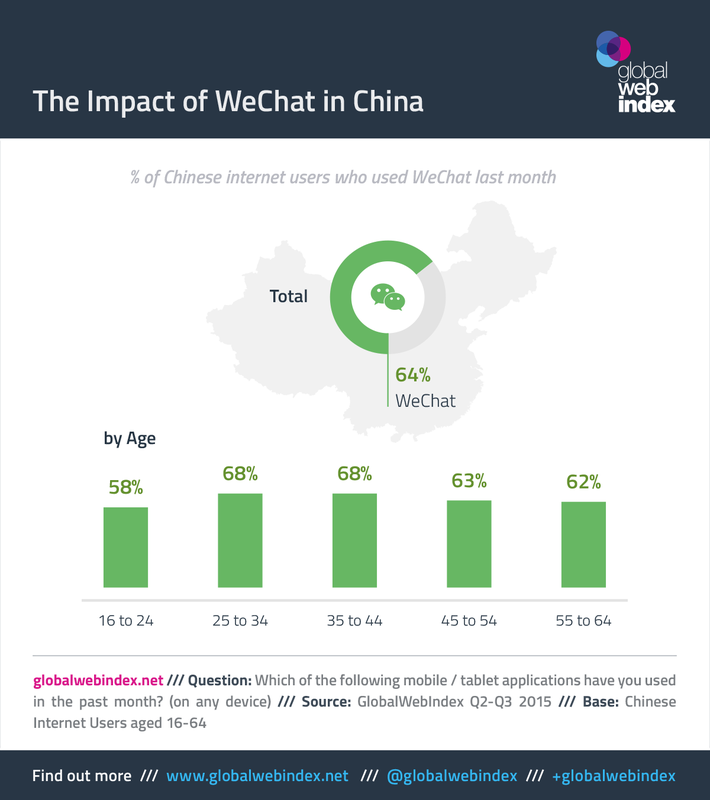 Messaging in China has become popular with users of all ages and an estimated 64% of all Chinese internet users are on WeChat. In fact, the number of users was evenly spread across all age ranges in China. 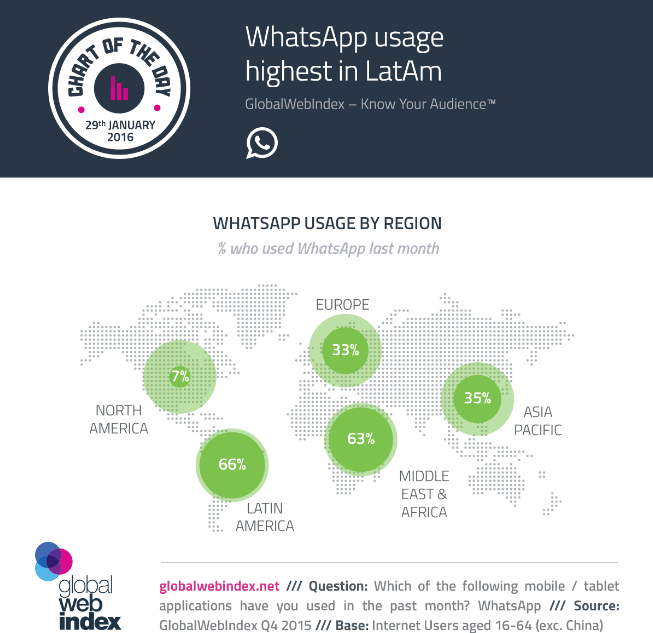 WhatsApp's rapid growth can be attributed in large part to emerging markets. While there is a global demand for the app, it is gaining the most traction in Latin America and Africa. Data from South Africa highlights the impact of messaging services in emerging markets. One telecom provider reported just under a billion and a half fewer SMS messages sent between March 2014 and 2015 as users began opting for services such as WhatsApp, Messenger and WeChat. The arrival of WhatsApp seems to have all but halted the potential growth for SMS, while the use of messaging services in general is rocketing, according to 2015 data from Portio Research . In a recent blog post , head of Facebook Messenger David Marcus laid out an ambitious plan for the future of messaging, which would see the death of not only SMS but of phone numbers altogether. While emerging markets migrate in large numbers to messaging services, Europe and North America have been slower on the uptake. Only 33% of European's have a WhatsApp account. In North America, that number has not even hit double digits yet, with only 7% registered. 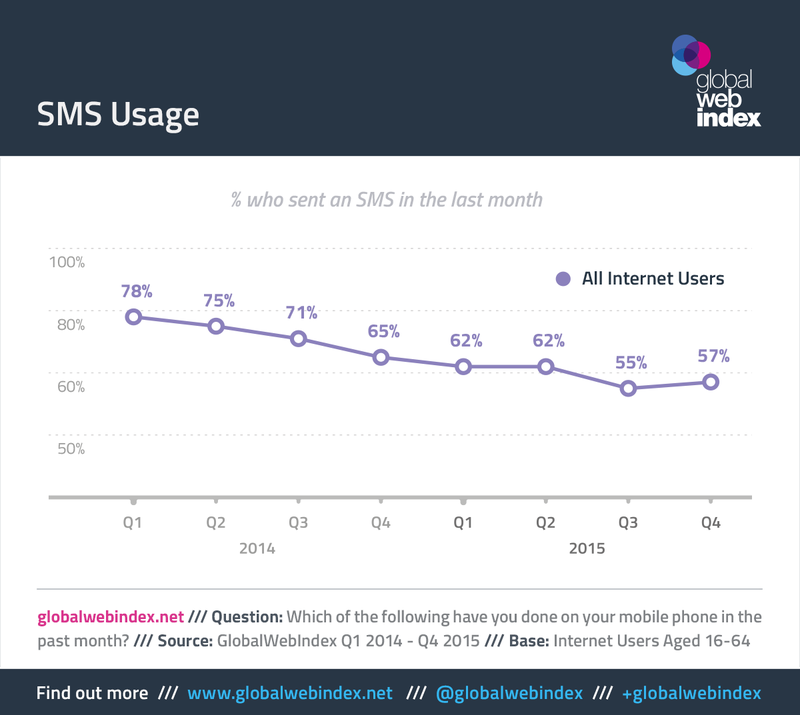 SMS usage has undeniably taken a hit, losing 21 percentage points since Q1 2014, but has leveled out since then, and actually saw a slight increase at the end of 2015. In the West, Facebook's biggest challenge may well be to remain the app of choice with new consumers. 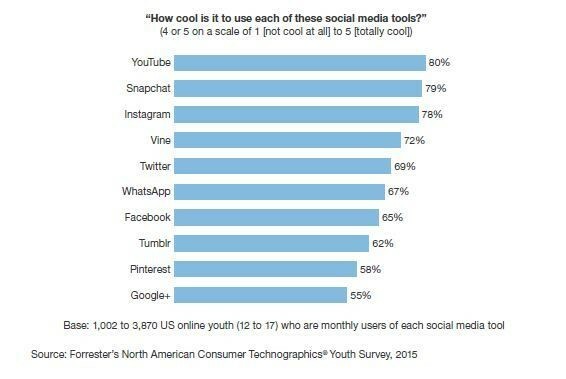 A recent poll showed that, despite using Facebook and WhatsApp, those aged 12 to 17 didn't find the applications to be particularly 'cool'.